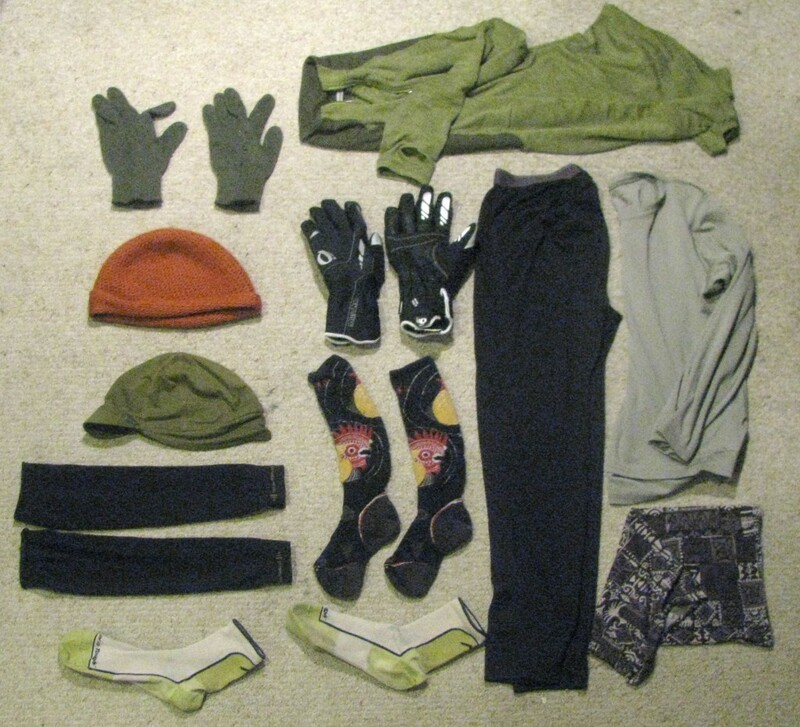 Those who ride their bikes through the Utah winters rely heavily on good clothing to keep them warm, safe and even comfortable through the chillier months. As far as keeping my toes warm I am completely converted to Darn Tough socks. (19$-25$) They are comfortable, wool, and amazingly, have a lifetime guarantee. IF YOU GET A HOLE IN YOUR SOCK, EVER, THEY WILL REPLACE THEM. so amazing. Smartwool also makes lots of great cold weather socks (I have a pair of their knee-high ski socks that are great) but I wear through the heels in a year or two. One of the important things to remember in cold weather riding is to avoid cotton. (or as my friend’s dad used to say “if it’s not an animal of plastic, don’t wear it”) Wool and synthetics do a good job of keeping you warm even when wet, and a water resistant shell on a glove helps a lot. Don’t even bother with those cheap cotton gloves you see in the grocery store. Something to cover your neck is important in the cold, and while a scarf can work just fine, last year I got ahold of a Buff, essentially a small seamless tube of fabric and I love it. It’s stretchy and can be used to cover your face, ears, neck, or even made into a beanie. Also they’re affordable (20$) and come in tons of patterns and styles. Lastly, make sure you wear a hat that covers your ears. I have a wool beanie that I’ve warn for years, and under that I recently added a small bamboo cycling cap as well (bamboo may be one of the only exceptions to the “animal or plastic” rule, as it’s very good at wicking moisture) The cap is made by SWRVE and is very comfortable and light. (although i’m not seeing my particular hat on their website right now, they have lots of good products) Make sure any hat you wear can fit under your helmet. And you may need to adjust your helmet strap to accommodate the added bulk. There are many other aspects of winter riding (such as bike adjustments, jackets and panniers) that I’ll post about in the future. In the meantime, remember to ride slowly on icy streets, always ride with traffic and use a front and rear light when riding at dusk or at night! Merry Christmas and I’ll see you on the streets!